When looking for a Holiday Rambler dealer make sure that you don’t end up at a dealership that deals exclusively with Holiday Ramblers. You would be much more well advised to be on the lookout for a dealership that has a wide variety of Holiday Rambler models amid an even wider inventory of all different manufacturer makes and models. If you go with an exclusive Holiday Rambler dealer, you might miss out on the opportunity to comparison shop, the ability to get the best in competitive pricing, and the many other quality makes and models that you might not be allowing yourself to be aware of. 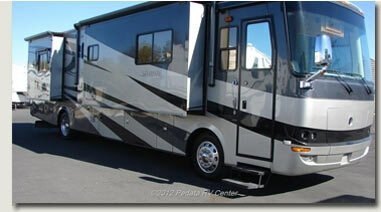 Pedata is one Holiday Rambler dealer that deals with all kinds of RVs. You’ll find a very wide variety of Holiday Ramblers in the inventory at any time, but you’ll also find a very wide variety of RV’s in general. This makes it easier on the consumer when it comes to comparing features, options, and price. You need to be aware of the options in various manufacturer’s products so that you don’t realize after the fact that something you thought was out of your price range or unavailable was actually just available through another product line. While Holiday Rambler has a proud history of quality RV’s, there are many other manufacturer’s that also provide consumers with the best of products for competitive and fair pricing that you won’t find at an exclusive Holiday Rambler dealer. Holiday Rambler was acquisitioned in 1996 by Monaco Coach Corporation and has since been one of many high quality product lines they design and manufacture. So, if you are stuck on Holiday Rambler dealer exclusively because you think they are the only quality product among RV’s . . . you are definitely missing out on many other quality products. The best competitive pricing will come when you dealers are offering the competition side by side. A Holiday Rambler dealer that deals with no other manufacturer of RV’s doesn’t need to pay as much attention to manufacturer sales, promotions, or deals as one that is offering the competition’s sale price alongside the other manufacturer’s products. 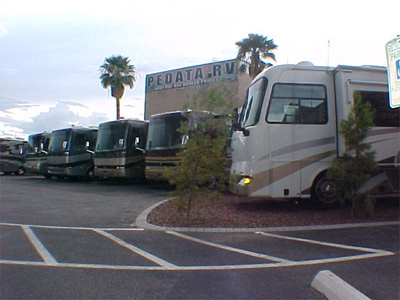 At Pedata you’ll find that all of our RV’s are competitively priced. We don’t ignore the need to compete between manufacturer’s price breaks. You’ll find the best in competitive pricing when you find yourself a dealer who isn’t exclusively a holiday rambler dealer. If you are a “newbie” to the RV world, you might not have heard of very many names. One of the most recognizable is Holiday Rambler so many new RV shoppers end up at a Holiday Rambler dealer. Be careful that you allow yourself to include all manufacturer makes and models in your comparison shopping before deciding on what you want. While a Holiday Rambler dealer will most definitely have some tempting and high quality RV’s for you to check out, you want to make sure that you don’t allow yourself to be led by the nose to an RV that isn’t what you would have picked out had you not seen it first. You should make sure that you look at ALL the options available. . . no matter who the manufacturer is before you decide exactly what features are most important to you and your passengers. Only after you’ve made these decisions can you really make the best choice as to what RV is the very best choice. If you do your research right, you’ll find that you don’t have to see what’s available and then take the best of the lot . . . you can decide exactly what it is you want and then go in search of it. There won’t be too big a problem finding it. Especially with the kind of inventory you’ll find offered at Pedata RV Center! >> Shop Our Holiday Rambler RVs Online!